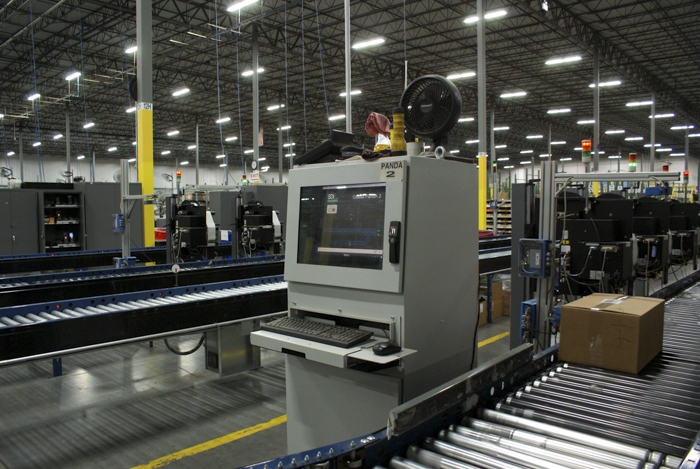 The Automated Label Print & Apply system provides a complete solution of barcode readers, printer applicators, and data management software for high-throughput applications. SDI’s Print and Apply (PandA) system consists of a hardware and software package integrated to automatically print and apply labels for cartons routed through or shipped from a product distribution center. 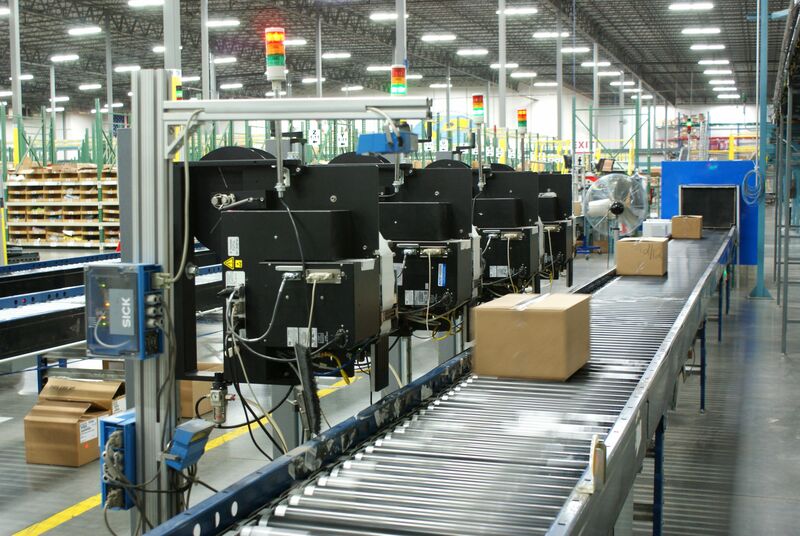 Inbound cartons are aligned, spaced and accumulated along the induction conveyor and is fed from the shipping sorter. At the entry to the PandA system, each inbound carton is scanned for identification. 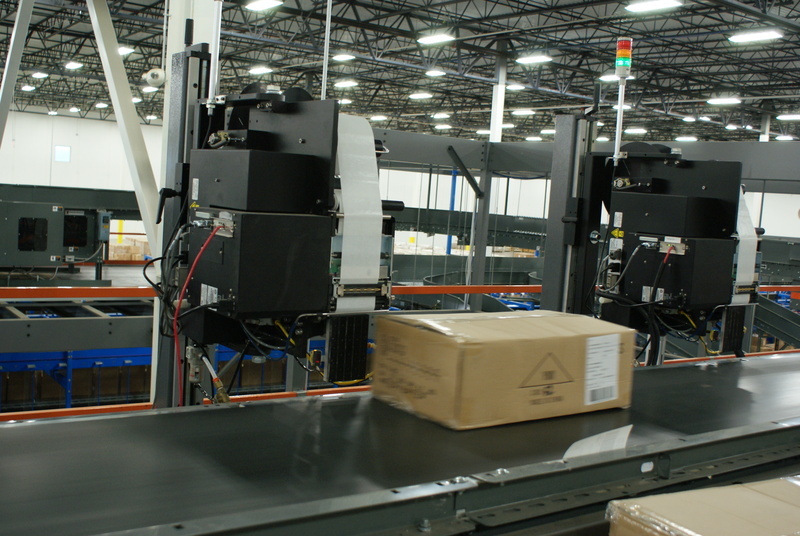 The conveyor, through a series of photo eyes, tracks the movement of the carton and the label data is downloaded to the printer. The label is printed and the applicator places the label on the top of the carton. If there is a no read on the identification scanner, the carton is diverted to the exception lane. Before leaving the PandA system, the applied label is scanned to make sure the label has been applied correctly. If this verify scan fails, the carton is diverted to the exception lane. Rates up to 40 CPM depending on configuration. Placement on front, back, side and top all have different requirements. Print and Apply systems remove the labor from the process of printing, peeling and sticking a label. Achieve consistency of application (same place at the same time, every time). PandA can include the ability to customize low-level information on each label, such as incrementing a serial number on each label, or printing a weight along with standard information. Low-level customization can be accomplished in the Printer-Applicator itself or additional control can be provided. Printing of a unique label that’s customizable on demand.